This looks and feels like one of those video's that's played on repeat in museums where you can leave kids to stare at it for a while while the parents actually look at the exposition. 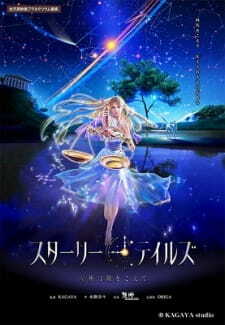 The narrator talks about the constellations, how our ancestors saw figures in the starry sky and how they are still the same compared to 2000 years ago, and then strays off to focus completely on the story of the constellation Libra. It's honestly hard to not spoil anything cause there barely is any story to it. It emphasizes the whole "the gods have left us humans cause we are bad and should feel bad about ourselves" narrative to an annoying extent. It's only redeeming quality is the soundtrack that i personally enjoyed alot. But if it's only for that, you might aswell just listen to the soundtrack instead of wasting half an hour of your life on this.